The secret is time. 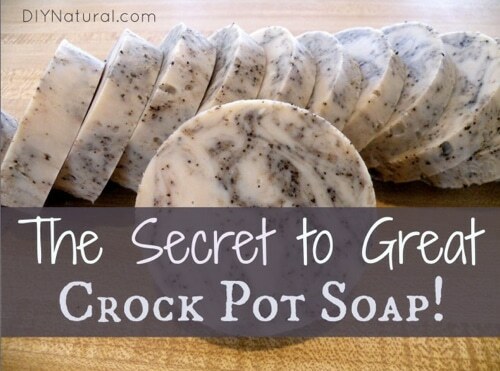 With this crock pot soap technique you save time – and that’s a beautiful thing! You can use any cold process soap recipe with this method and make your soap faster than you normally would. The quality of your soap is AMAZING and it’s ready quicker than the traditional 4-6 weeks.